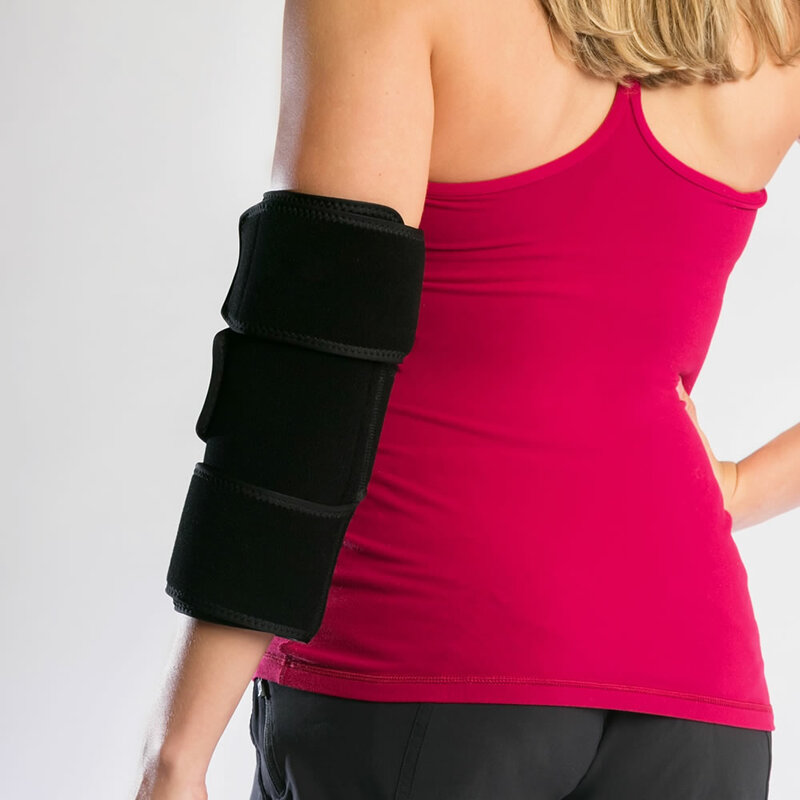 This is the elbow wrap that provides the soothing benefits of cold compression without the unhealthy freezing and unpleasant ice burn of conventional ice packs. Using exclusive conduction technology, the wrap is ideal for easing the pain and inflammation caused by arthritis or tendinitis, as well as helping speed recovery from injuries and surgery. 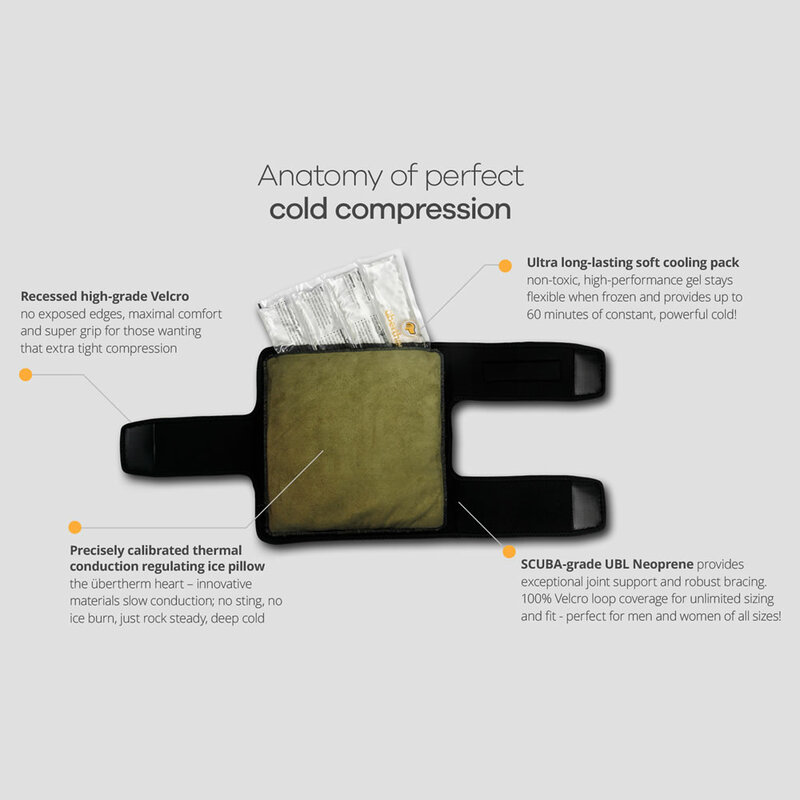 It provides 50 minutes of gentle, effective cold therapy using a safe gel insert that is chilled in a freezer. The gel pack slips inside an insulated pouch that provides a soft layer of protection between the frozen insert and your skin. The wrap secures with hook-and-loop fasteners, enabling you to adjust the level of compression. Elbow. 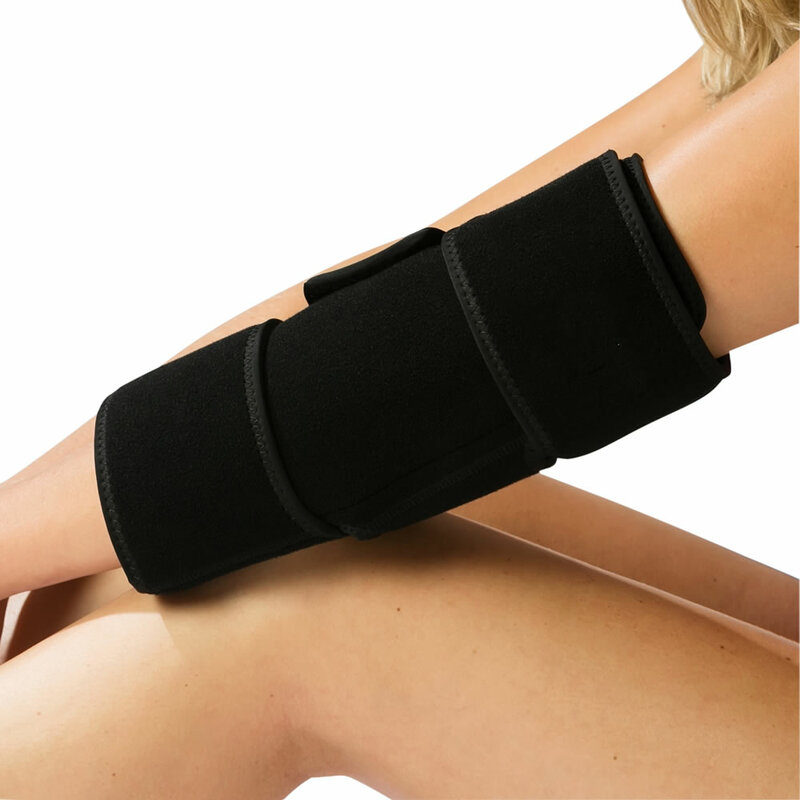 The Pain Preventing Cold Compression Wraps (Elbow) comes with The Hammacher Schlemmer Lifetime Guarantee. Items that we sell are guaranteed for their normal life under standard non-commercial use.